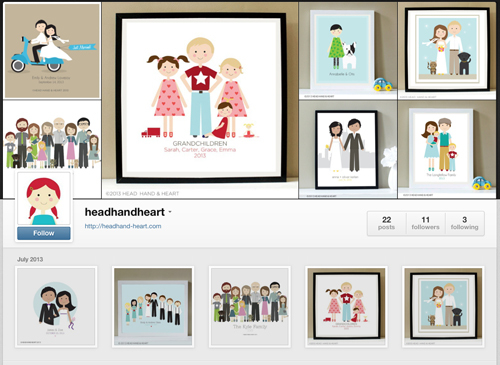 Head Hand & Heart: Instagram! If you want to get a little happiness in the form of a Head Hand & Heart portrait on your phone or on Facebook, you can follow me on Instagram! Click here to get a glimpse!